Feeling Left Behind with your Technology? You might be wondering why a technology expo is on a wedding coordinators blog? I’ll be happy to tell you that we live & breath our technology! What did we do without it?! It certainly helps us be connected to our clients, colleagues & of course, what’s trending. It definitely makes it easier but, it’s hard to stay current with it all & also, to know if all the social media avenues are right for your business. 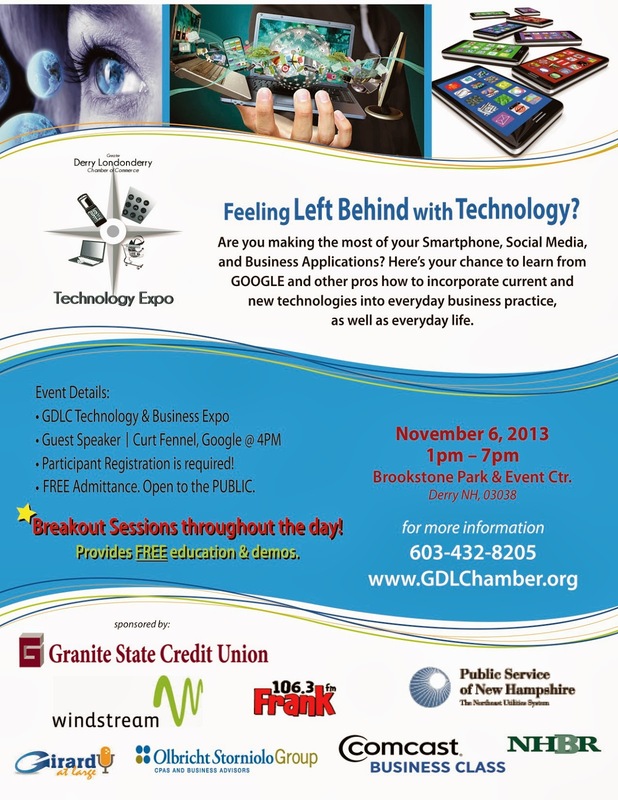 I’m excited to be part of the Greater Derry/Londonderry Chamber of Commerce’s First Annual Technology Expo. We’re excited to have Curt Fennell from Google as our Guest Speaker plus other amazing technology savvy vendors, who can answer those pressing questions you’ve been trying to figure out who to ask. There will be multiple breakout sessions with some of the most informative people in the industry about various topics. Want to know how SEO & Social Media can help generate more business or if Constant Contact is the right avenue for your business? If YES is the answer to any of those questions, than this for you! Come join us on Wednesday November 6th from 1-7pm at Brookstone Park & Event Center. It’s FREE admission to attend and open to the public, so don’t be shy & spread the word! Is it really Thursday?! It’s been one of those weeks where I seem to be a day off, but it’s all good! 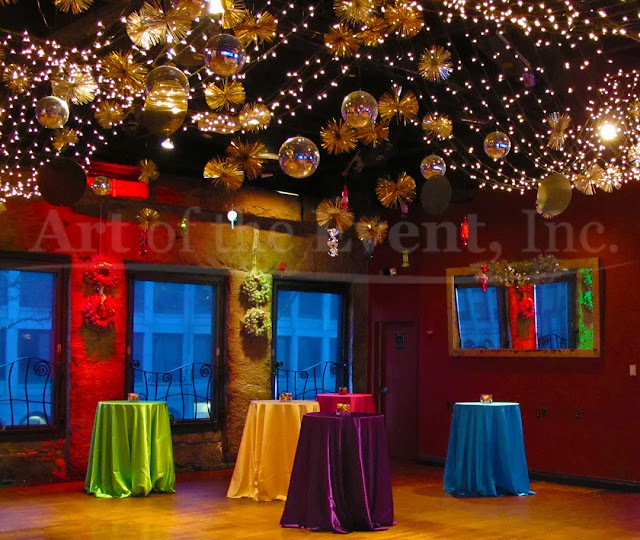 I had the pleasure receiving a fabulous email newsletter from the talented company, Art of the Event, that showcases some amazing holiday party inspiration for those fast approaching holidays! How is it that Christmas is only just over 8 weeks away! I, for one, am so not ready for it! Cozy fireplaces, cable knit pillows and birch bars will get you in the mood to sip hot toddies and celebrate the solstice. Step away from the red and green! 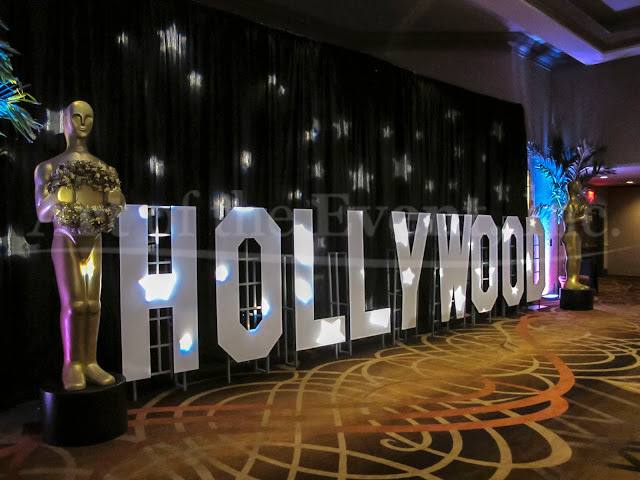 Our Candy Land decor theme features tons of bright colors and mouth-watering candy props. 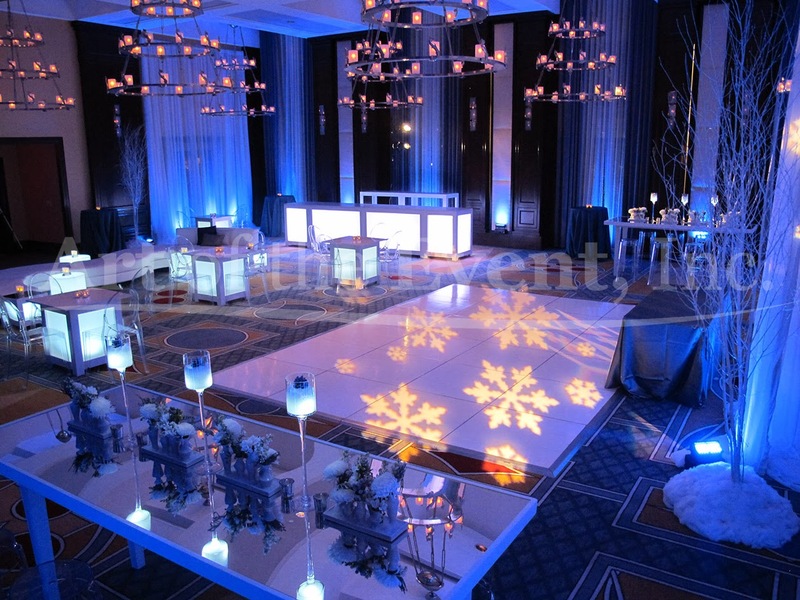 Our versatile glow lounge decor can be styled to be sleek and streamlined for an icy wonderland theme, or dark and romantic for your red hot holiday party. Customized step and repeats and Hollywood Stars will make every guest feel like royalty. Sparkling silver and gold Deco furniture adorned with feather accents create a lush and ritzy atmosphere that’s perfect for the season. Their warehouse is like a candy store for planners & designers, so I’m so excited what else I’m going to see today! It’s so much fun to see all their extraordinary creations and of course, I’m in awe at the talented workers that create it all since it is all handmade in-house. It definitely gets the creative juices flowing after leaving there! 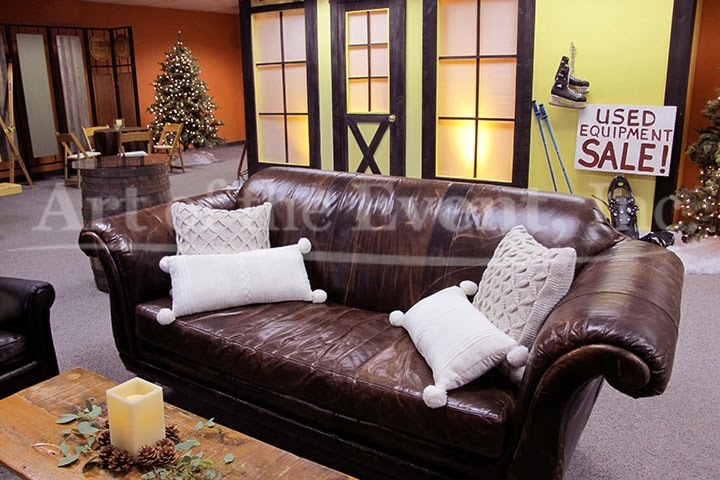 I hope you enjoyed a little holiday inspiration provided by Art of the Event, where their name says it all! Check them out, then call me, so I can get all giddy with you! I just love it when a vendor reaches out to me and they tell me they love what I’m all about & how different I am! Always puts a smile on my face & I’ll be honest, I never get tired of hearing it. Anyway, enough of me being on my soapbox, I wanted to tell you about one of those vendors who did just that. OK, so let me show you some of my favorites…. Isn’t the red in that dress just so unique & stunning! I just love how that one is just so fun & dainty at the same time! 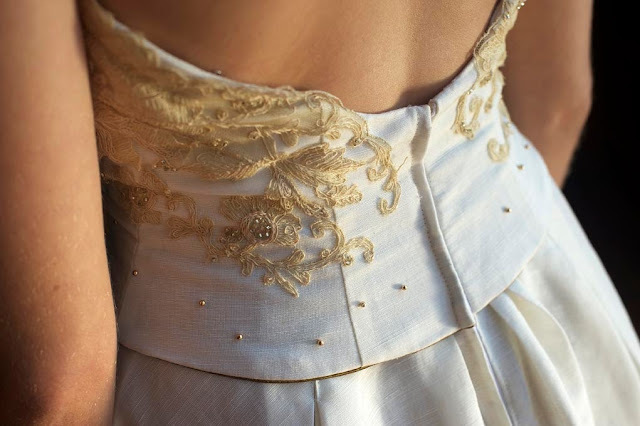 That one just reminds of me a Greek goddess & who doesn’t want to embrace THAT on they’re wedding day! I’m always in awe of talents like this, especially since I can only do the bare minimum when it comes to sewing! 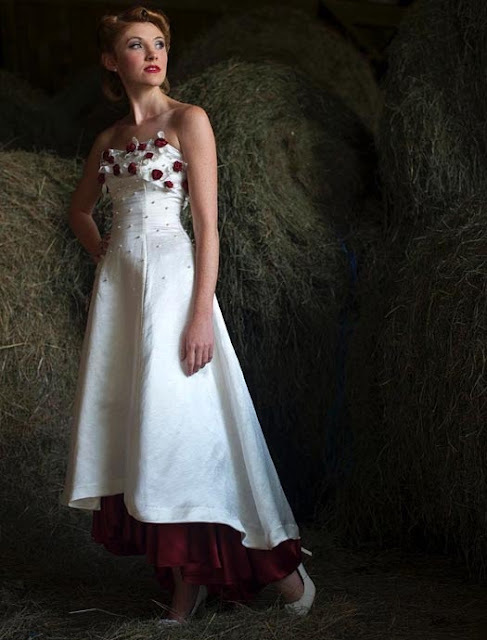 Tara Lynn Bridal is located in Sutton, Vermont, but ships throughout the US, Canada & Internationally. Check out her full site here for more information & other fabulous dresses! 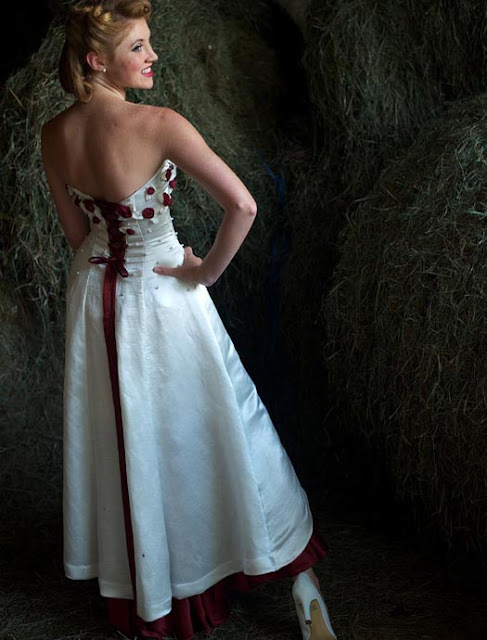 Than call me for you’re Coordinating needs, so I can see your one of a kind dress too! I’m pleased to bring you a Guest Blog Post from Sofia Angeli, who is a PR & communications consultant for companies in various industries. She brings her writing skills and passion for travel, culture, arts and lifestyle, including wedding planning and engagement rings, to the online world. 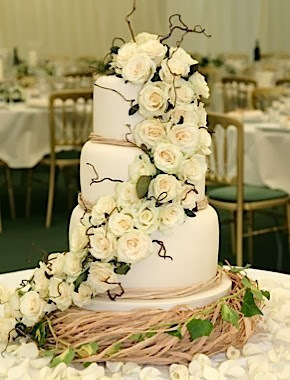 Check out what she has to offer about choosing a unique wedding cake….. The wedding cake is more than just a sweet treat for the guests. It’s a symbol of unity, fertility, and good fortune for the couple. 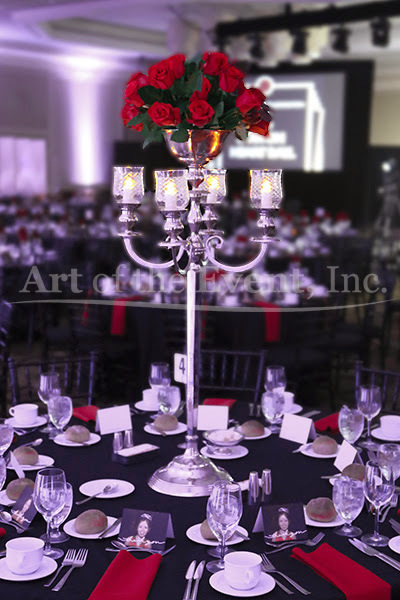 And, in terms of event design, it can be that centerpiece to wow your guests. 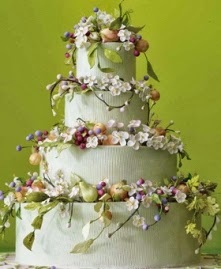 But, how can you come up with a cake creation that can be a conversation piece on your big day? As a couple, you’ve got to reach an agreement on the look that you want. You might be overwhelmed at the countless extraordinary wedding cake designs you’ll find online and in actual bake shops. If you’re having trouble deciding on the design, below are some ideas that can make all the planning a lot easier. If you’re looking for unique inspirations for your wedding cake design, browse the Internet for some great ideas. If you find just too many options, narrow it down by focusing on the theme of your wedding. Type in the Google Search box all the keywords describing your event, press the Enter key, and you’ll find what you’re looking for. Are you having a garden wedding? 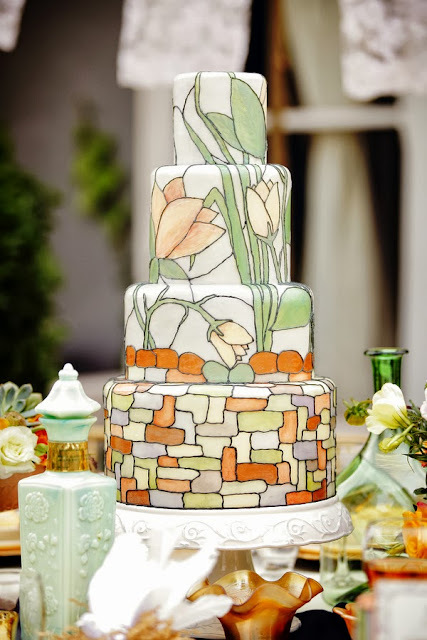 You can key in “unique garden themed wedding cakes” on the search engine bar for cake ideas that will give you the sweetest ending to your party. Browse through the creative concepts, pick some items that stand out in your view, and go from there. Thanks to http://www.brides.com/ for this image. 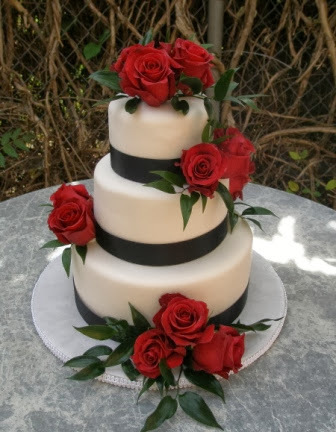 A wedding cake usually appears extraordinary if the basic aspects of its design already veer away from tradition. If you really want to have a something really unique, it’s best to venture beyond safe hues or styles completely. Try novel shapes, patterns, and colors, but don’t forget to make it match your theme. Thanks http://ruffledblog.com/art-nouveau-wedding-ideas/ for this gorgeous idea! If you’ve set your event like your back in the Roaring 20s, ask your baker to make you an Art Deco cake complete with geometric shapes and metallic finish. Or, if you’ve got deep red and snowy white for your color motif and a strictly formal occasion, a towering black-and-white concoction would be a fitting surprise. 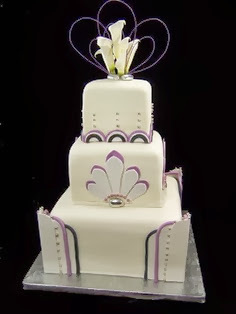 Thanks to http://www.pinterest.com/pin/197876977350263868/ for that inspirational 1920’s cake! Thanks to The Wedding House for that gorgeous inspiration! 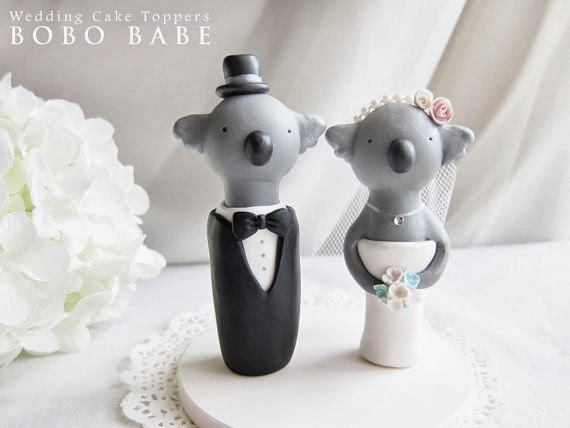 Perhaps the easiest way to make your wedding cake different from other couples’ is to choose a personalized topper that’s not the bride-and-groom dolls that you’ve seen on your grandparents’ cake. 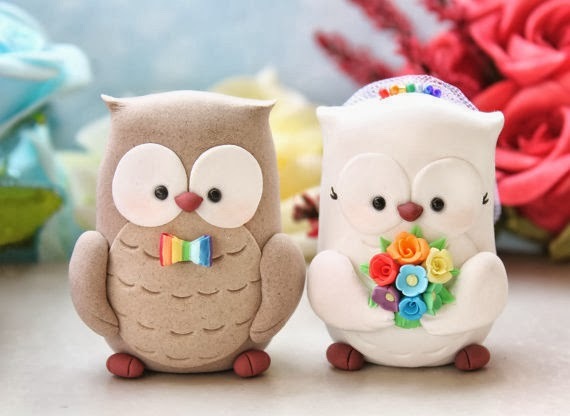 Be more playful by choosing a topper that represents who you are as a couple. Consider rainbow-colored lovebirds, kissing koalas, or your favorite animal pair done in an unexpected color. 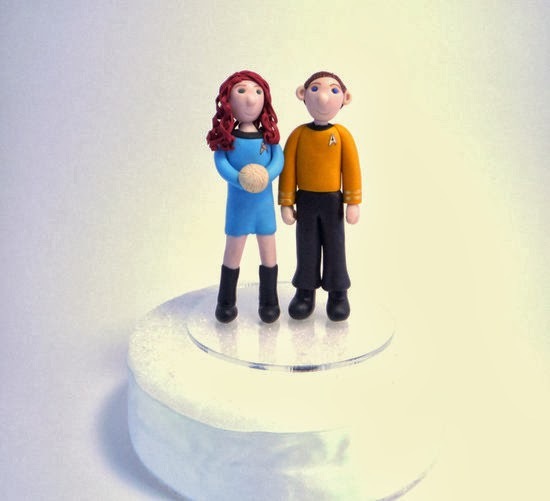 If you’re fans of some TV show, movie, or cartoon, maybe you’d want a fondant version of a famous couple from it. 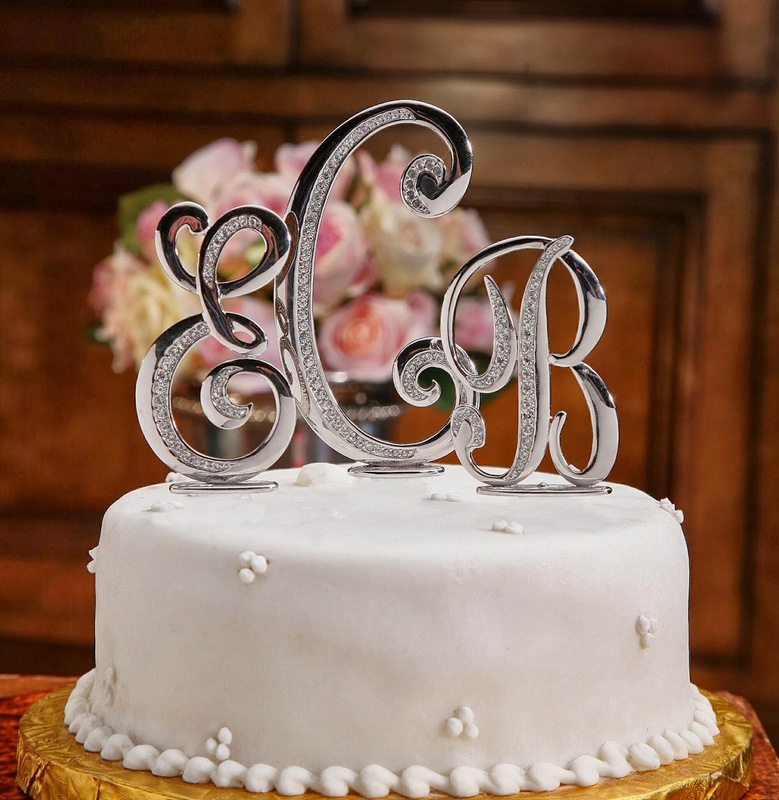 You can also simply place your initials, but have them studded with Swarovski crystals, and the cake design will surely be a stunner. There are a lot of inspirational ideas that you can grab from magazines and the Internet when it comes to wedding cakes. Just make sure that you put in touches of you’re wedding theme or your personality, and it will surely be a cake you can call your own. 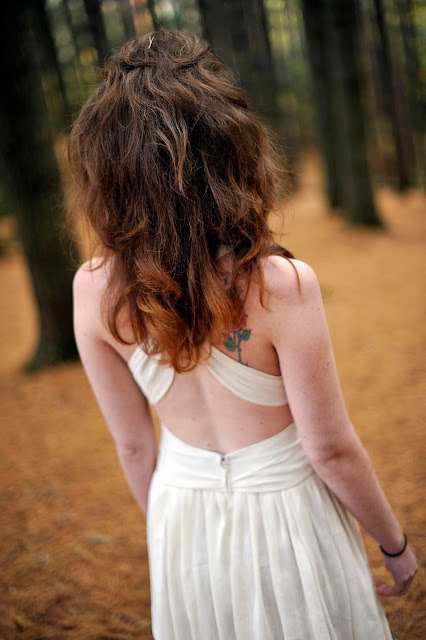 Thanks Sofia for a great guest post!